What began as the usual exploration into one artist's influences has rather accidentally has turned into the cliff notes to the history of electronic music and many of its offshoot genres likes glitch and IDM. It seemed logical enough to start with some obvious early influences to the style like Goblin, John Carpenter, and Mike Oldfield as well as the key roots to the UK artist Four Tet's sound which is in the vein of experimental Jazz like Alice Coltrane, Sun Ra, and later Miles Davis. From there it was just common sense to pull track from artists that help shape the genre from early on, electronic pioneers (that also cross over into hip hop) like DJ Shadow, Autechre, and Squarepusher. Before I knew it I had over two hours of music following the progression of this genre from its inception until present day. It's always interesting and exciting when your ears can hear the connection between songs but then when you go back to look into the story behind each of these songs and it turns out there is a genuine historical connection between them, for a dork like me, it becomes really exciting! 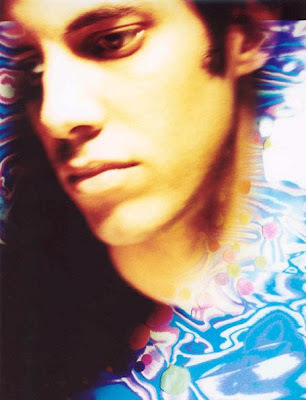 For instance I grabbed an Adem track to follow Miles Davis not realizing at first that Adem was in fact a member of Fridge, the group that Kieren Hebden AKA Four Tet grew out of. Only to read further that the Miles Davis record I picked a song from (On the Corner) is considered "a strong forerunner of the musical techniques of post punk, hip hop, drum and bass, and electronic music." As a wise man once said, "I love it when a plan comes together" and this Four Tet show really fell into place quite nicely if I don't say so myself. While mostly instrumental music isn't traditionally my favorite, some of these songs are among my favorites in the genre of Electronic music and more importantly, this show will be a great 101 for those of you who never gave this style of music much care. It's rooted in some incredibly fantastic stuff so maybe those of you who love Jazz, Rap, or even Ambient New Age, you might just discover a few new groups that share a common thread. Tune in from 7PM to 9PM at 97.3 FM on your dial for you local Richmond types or tune in on line at www.wrir.org. And after the show, you should head over to Balliceaux where Cherry Bomb will be DJing all night, myself included.